Jessie Stephen, the eldest of eleven children of Alexander Stephen, tailor, and his wife, Jane Miller, was born on 19th April 1893 in Marylebone, London. When she was a child her family moved to Edinburgh. Later, they settled in Dunfermline. In 1901 her father found work for the Co-operative Society in Glasgow. Jessie was educated at North Kelvinside School. At fourteen she won a scholarship, but had to leave school a year later because of her father's unemployment. Jessie found work as a domestic servant. Jessie, a committed socialist, joined the Maryhill branch of the Independent Labour Party (ILP). In 1912 she started organizing maidservants in Glasgow into a domestic workers' union branch. The following year she helped establish the formation of the Scottish Federation of Domestic Workers. 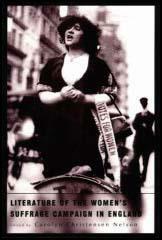 Jessie Stephen was also an active member of the Women's Social and Political Union (WSPU). In 1912 the WSPU began a campaign to destroy the contents of pillar-boxes. By December, the government claimed that over 5,000 letters had been damaged by the WSPU. According to her biographer, Audrey Canning: "Jessie was assigned to drop acid into local pillar boxes. while dressed in her maid's uniform. 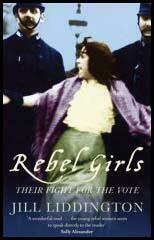 As a working-class suffragette, she enlisted the support of dockers in the ILP to deal with hecklers at WSPU meetings." In March 1913 was the youngest of a delegation of Glasgow working-women who went to London to lobby the House of Commons. Jessie Stephen disagreed with this strategy and after leaving the WSPU joined the East London Federation of Suffragettes (ELF), an organisation that combined socialism with a demand for women's suffrage, it also worked closely with the Independent Labour Party. Other members included Sylvia Pankhurst, Keir Hardie, Julia Scurr, Mary Phillips, Millie Lansbury, Eveline Haverfield, Maud Joachim, Lilian Dove-Wilcox, Nellie Cressall and George Lansbury. In the early stages of the war Jessie toured northern England to raise funds and sell the federation's journal, the The Women's Dreadnought. In March 1916 Sylvia Pankhurst renamed the East London Federation of Suffragettes, the Workers' Suffrage Federation (WSF). The newspaper was renamed the Workers' Dreadnought and continued to campaign against the war and gave strong support to organizations such as the Non-Conscription Fellowship. The newspaper also published the famous anti-war statement by Siegfried Sassoon. Audrey Canning has argued that: "Tall, black-haired, and handsome as a young woman, Jessie Stephen had a strong personality and excelled as a lively speaker... She attributed her vocal powers to two years' training as a contralto at the London Guildhall School of Music and enjoyed entertaining her English audiences to recitals of Hebridean folk-songs." In 1917 Jessie Stephen became the Independent Labour Party organizer for Bermondsey, where she worked closely with ILP leader, Alfred Salter. The anti-war stance of Salter resulted in a loss of support for this left-wing member of the party. Salter wrote: "For a while it seemed as if the whole fabric of our organisation so laboriously built up in the past years, was doomed to go under." Jessie Stephen had developed a good reputation for effective campaigning and Mary Macarthur recruited her to work for the National Federation of Women Workers. In December 1918 Jessie became secretary of its domestic workers' section. The following year she was appointed vice-chair of the catering trade for the new Ministry of Reconstruction. In 1919 she was elected to Bermondsey Borough Council. Under the leadership of Ada Salter, London's first woman Mayor. As a socialist she declined to wear Mayoral robes or the chain of office. With a Labour majority on the council, Ada could now push on with her plans to improve the look of Bermondsey. A Borough Gardens Superintendent was employed and ordered to plant elms, populars, planes and acacias in the streets of Bermondsey. Later he added birch, ash, yew and wild cherry. Jessie Stephen also became involved in the campaign to improve public health in Bermondsey. Special films were prepared and were shown to large crowds in the open air and pamphlets were distributed throughout the borough. A systematic house-to-house inspection was conducted to seek out conditions dangerous to health. Premises where food was sold were constantly examined and samples of foods were taken away for analysis. During the 1926 General Strike Jessie agreed on explaining the trade union position in a tour of the United States. Speaking to large gatherings of immigrant workers from Europe, she raised substantial funds for the National Union of Mineworkers and the Socialist Party of America. She also visited where she encouraged the formation of the Canadian Union of Domestic Workers. According to her biographer, Audrey Canning: "Besides having a talent for journalism Jessie Stephen also proved adept at running her own secretarial agency and joined the National Union of Clerks in 1938. In 1944 she was appointed as the first woman area union organizer of the National Clerical and Administrative Workers' Union for south Wales and the west of England, moving to Bristol, where she became the first woman president of the trades council and a city councillor in 1952. Jessie Stephen established close connections with the Bristol Co-operative Society after 1948, both as employee - working for eleven years with Broad Quay branch of the Co-operative Wholesale Society - and as chair of the management committee." Jessie Stephen died at Bristol General Hospital aged eighty-six on 12th June 1979 from pneumonia and heart failure.